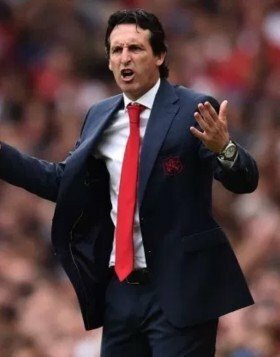 Emery: has he found the winning formula at the Emirates? A discouraging start to life as Arsenal's manager with two straight defeats to Manchester City and Chelsea saw the Gunners manager under early stress. Since then Emery appears to have found a way to gel the Arsene Wenger-era players with his own brand of football. In Arsenal's opening few games it the season it was indeed painful watching Petr Cech, Mustafi and Bellerin attempt to play the ball out of defence. It is clear that much practice and effort has gone into training and now Arsenal look supremely confident bringing the ball forward and finding gaps in opposition midfield. Arsenal's summer signings Matteo Guendouzi, Bernd Leno and Lucas Torreira have been regular first-team performers and the latter has been exceptional in reversing the Gunners' form during 2018-19. Even more impressive has been the form of Alexandre Lacazette, who has ousted Aubameyang out of the club's first team on a regular basis. Other Arsenal players who appear to have found a new lease of life under Emery includes Nigerian forward Alex Iwobi. Iwobi looks like a completely different player under Emery, almost as if he was restricted going forward by Frenchman Wenger. At the back, Rob Holding has emerged as a top quality centre-back, whilst Mesut Ozil has flourished with the armband in recent games. The question on most Arsenal supporters' lips is whether or not Emery can continue this form, not just this weekend in a tricky looking visit to Selhurst Park to take on Crystal Palace, but through into the New Year as well. Emery has had much success at his previous clubs Sevilla and PSG, but winning titles with Arsenal will be the toughest responsibility of his managerial career thus far. This week, the Man City manager Pep Guardiola even suggested that this season there are five candidates to win the Premier League title, hinting that Arsenal may well be amongst the teams battling for glory in the league. Now it is up to Emery to continue this stunning run of 11 wins on the spin and prove that Arsenal, who have been without a Premier League title for over a decade, can prove themselves as one of England's best teams yet again.